Yes, it is possible to edit the document set link. Find the particular document set which you need to edit. Hit the Edit button to edit the document set. 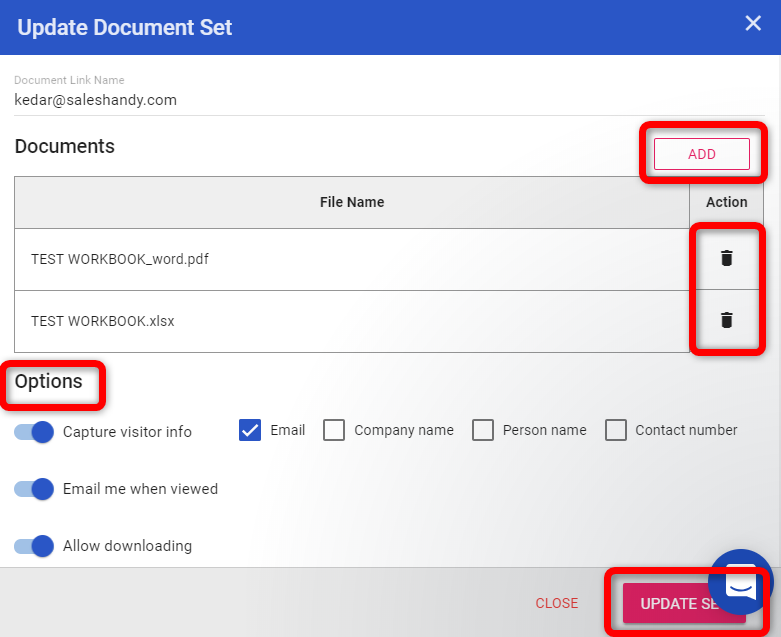 A pop up will prompt up where you can edit your document set as per your need. i.e Add or remove documents and can change the options like capture visitor information and allow downloading. Feel free to shoot us an email at support@saleshandy.com in case of any queries.